Nigeria’s Vice President, Prof. Yemi Osinbajo, again on Friday, aimed a dig at the Peoples Democratic Party, PDP, accusing it of pilfering the country’s resources. 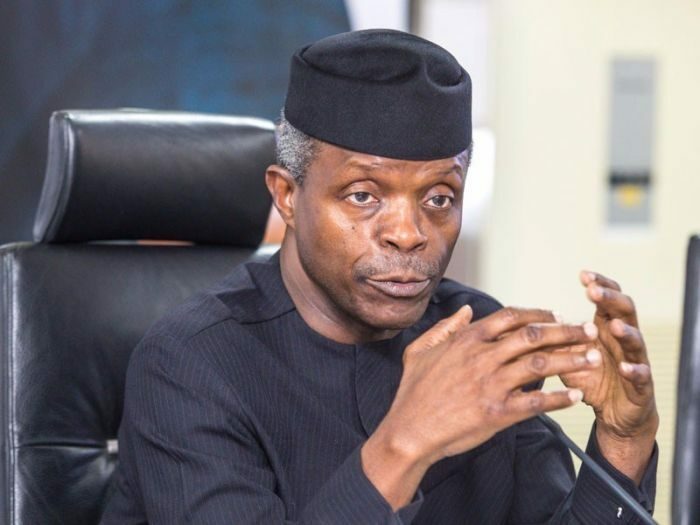 Osinbajo, who spoke in Enugu where he commissioned the campaign office of the All Progressives Congress, APC, governorship candidate in the State, Senator Ayogu Eze, said the President Muhammadu Buhari administration was different from any other government in the country. “It is a right, it is your right to have good governance, it is your right to have federal presence,” he further stated, adding that the zone must be fairly treated. On what the APC-led government was doing for the Southeast, he said President Buhari had been fair to the zone. “Today in our country, we have five ministers from the Southeast, not ministers of states, they are all senior ministers. In fact, in President’s own state, we have a minister of state. “The President is committed to the development of the Southeast that is why the Second Niger Bridge and the roads, like the Enugu-Porthacourt, are being given attention by this government,” he said. Osinbajo noted that while the PDP government merely awarded contracts and did nothing on the critical projects, the President Buhari led government was doing quality works on the projects in the zone. “There is no project concerning the Southeast that will not be done and done well,” he assured. He appealed to the people of the zone to continue to support the party, expressing hope that with the quality of leaders in the Enugu APC, the party would record victory. He dismissed claims by a section of Ndigbo that Buhari hated the people, stressing that the same people spreading the lies gathered and endorsed PDP’s presidential candidate, Alhaji Atiku Abubakar. While telling Buhari not to be perturbed about the endorsement, Eze said such decision would only be meaningful if the entire Ndigbo sit in a council and take a stand as they were not in a single political party.